We suggest that all buyers do some basic research to learn more about industrial shredders. This is the purpose of our web publications, to inform the public. The picture below is of our Eidal 7272 industrial shredder. Ask anyone who builds shredders to send you their prices and cutter picture of their Eidal 7272 equivalent. Our Eidal 7272 industrial shredder has a 24″ center to center design distance on the two shafts and 34″ diameter cutters that are 3″ thick and forged alloy steel. More importantly, here is an example of our Eidal Rasper, which takes a tire chip to a wire free granule so that you can sell the steel and the rubber. SSI doesn’t make a “Rasper”, so they can’t offer you this option. We feel that it is important to build everything needed for a proper recycling system. Here is an example of a quotation from SSI for machines half the size of the machines we have listed above. Thank you for taking the time to contact SSI! Tire shredding machinery has been an integral part of our business since 1981 and we have many different system configurations available to produce materials from 1 inch “chips” up to 6″ wide “strips” at throughput rates ranging from 2 tons per hour (200 car tires) to over 25 tons per hour (2,500 car tires). You’ll find an attached sheet that simplistically depicts what we have to offer. We appreciate the fact that industrial shredders can process a wide variety of tires and a wide variety of shredding rates. Shredding or processing 2 tons (200 car tires) per hour of car tires into a rough 6″ strip or processing 2 tons (200 car tires) per hour of car tires into a 1″ chip are two totally different systems, which is not mentioned. Historical fact: all of the models from SSI came from the core product line of the “Saturn shredder” which was originally invented and owned by the Burda family. the Burda family is the present owner of the Eidal shredder product line. The “Saturn shredders” where copied by SSI in 1985 and put into their product line (not 1981). A chip system design today uses a shredder normally with a sizing screen under, or external to the shredder, and is the typical design that is recommended to allow for full access to the shredder for easy maintenance. The core machine in this m100e offer is overpriced and is based on the Saturn model 6240 or the Eidal model 6241. They are both 16″ center to center shaft design machine, the Eidal invented in 1966 and the Saturn invented in 1972 preceed the 1981 SSI product line, which was not actually built until 1985 when SSI disbanded its relationship as a dealer for Saturn. These are historical facts, which can’t be disputed. The dual drive 6241 Eidal and the dual drive 6240 Saturn are different in design than the single drive SSI m100 or their old model 2400 designation. Our model M100E tire shredder equipped with SSI’s own trommel classification system is capable of processing car and some truck tires to 2″ chips at 3-4 tons per hour (300-400 car tires). Our model M120ESP tire shredder equipped with SSI’s own trommel classification system is capable of processing car, truck and super single truck tires to 2″ chips at 5-6 tons per hour (500-600 car tires). The core systems of today use an external screen and conveyors to re-circulate the oversize material from a single industrial shredder system back to the shredder for a slice and dice type of operation. The Eidal shredder was invented in 1966 and the Saturn shredder was invented in 1972 and precedes the 1985 SSI product line, which was incorporated in 1980 by Dan Burda and his sister, Susan Burda, to act as a confidential shredding service of the Saturn shredder company that they owned. The actual SSI group did not formally begin their activity in the shredder field until 1985 when SSI disbanded its relationship as a west coast dealer for the Saturn shredder group. These are historical facts, which can not be disputed. Another important feature in this offer is that the dual drive 6241 Eidal and the dual drive 6240 Saturn are better in design than the lower priced single drive SSI model M100 or their older single drive model 2400 designation. This Eidal tire system, shown in the picture, can be offered with an Eidal 6241 dual drive shredder, for under $300,000.00, which is a $150,000.00 savings by using a better shredder and a better system design. Below is a dual Eidal 5444 industrial shredder line to make a fuel chip. Note the simple conveyor package and the ability to maintain the equipment on an open fashion also allowing for a pre shredding of the tire and then a final shredding of the tire which, by today’s standards, is more efficient when processing tires to a fuel chip form. This dual “5444” shredder package design is offered for $350,000.00 which is still $100,000.00 lower in cost than the single shredder package offered by SSI in the data contained in this document. These 5444 Eidal series industrial shredders are not small machines The model 5444 is a slightly short version of the 6444 or the 6241 units made by our group for the last 45 years. The important factor is to know the overall hp of the unit and if the unit is a single drive design or dual drive design. The dual drive design is a higher end drive design and should be considered for any shredding operation. We build only dual drive designs in our larger machines to give more to the client. Those groups in the industry that still make single drive designs in larger machines are just trying to save money when building the shredder rather than giving a better shredder to their customers. A four shredder line that can make 5 to 10 ton per hour of fuel chips. Everyone else wants to provide a single shredder line. We provide multiple shredder lines for the same price. Or how about a shredder and Rasper line to remove the steel from the tire so that you can make more money when recycling tires? Tire chips are sold at the same price as coal. Tire granules that are wire free are sold at four times the price of coal, and the steel is sold at eight times the price of coal. So why not remove the steel from the tire to increase your income rather than selling tires for fuel? This industrial shredder Rasper line can be purchased starting at $450,000.00. 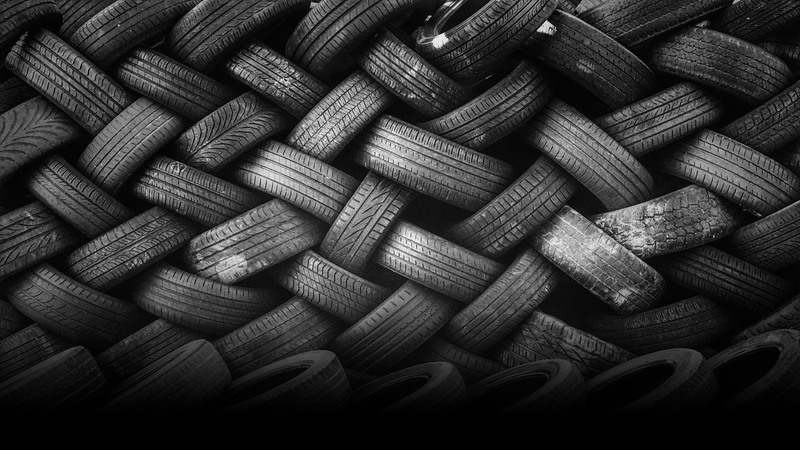 So, why not recycle tires the right way? Or you can watch staged Hollywood videos of shredders on YouTube. Please let me know if you’re interested in more information or a formal quotation on one of our tire shredding machines. I look forward to working with you further as your project develops. We suggest that you review what is offered and what is needed. We suggest that you review what is new or what is old. We suggest that you review what should be used. We suggest that you review everything that is recommended. Shredding is a difficult task. Industrial shredder designs have to be simple and heavy duty. You can learn from us on what you need. 1. Do you want a good car? 2. Do you want a good shredder? Both of these questions show you that buying a car, or buying an industrial shredder, is not as easy as it looks. We have a wide variety of answers and selections to solve your shredding needs. Buying a recycling system, or buying a shredding system, or buying an industrial shredder all have a lot of options and prices. Tell us what you need, and your budget, and timing. We’re to the point we don’t play games. We do not mean to offend, we intend to teach, we intend to inform. If you do not know what you need, then lets figure this out together. If you do not know what to budget, then lets figure this out together. We do give you answers fast, with viable, computerized selections and you can call us and talk to a real person and become human again.